2019 is shaping up to be a busy year for the IDEAS project. After a wealth of data collection and analysis over the past two years, more and more results are now ready to be shared. In Nigeria, our work on tracking progress and promoting the use of data for decision making in Gombe State will be completed this year. A final Data Driven Learning Workshop is taking place in the second quarter of the year, as well as a final dissemination event in late 2019. Aligned with this we have been busy analysing our data on improving coverage measurement, including new evidence on the validity of different methods to measure coverage in maternal and newborn health and new evidence to help us understand respectful maternity care in this setting. In Lagos State, we added an exciting new piece of work to the IDEAS portfolio in 2018 in the form of an evaluation of a quality improvement initiative and are looking forward to a first phase of data collection starting in March 2019. In Ethiopia, the findings from the evaluation of the Community Based Newborn Care programme are ready and the final report will be launched in Ethiopia within the first quarter of the year. Additionally, the Data Informed Platform for Health (DIPH) work, to support use of data for decision-making at district level, is gaining momentum with a number of workshops and meetings taking place. 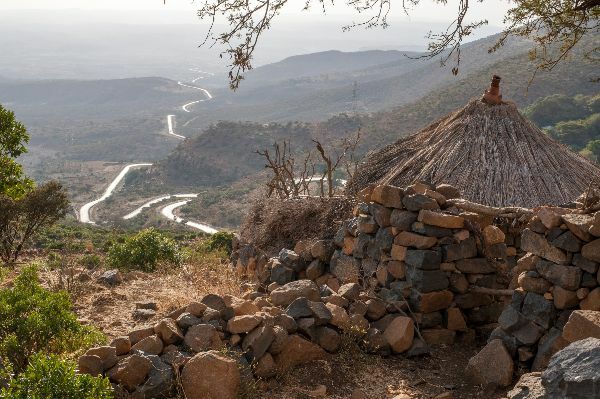 Findings from the research to understand quality improvement in Ethiopia are taking shape with a number of publications in the pipeline for 2019. This includes work looking into causes for unauthorised absenteeism in Ethiopia’s health system and a qualitative study of factors affecting facility delivery. Finally, our work on sustainability at scale is progressing quickly. All data collection for the study looking at the sustainability of the Village Health Worker Scheme in Gombe is completed and analysis is ongoing. This will come together in a third research brief in the second quarter of 2019, as well as planned journal publications. Interviews for the three-country study looking at sustainability and scalability of innovations are almost completed and initial findings will be presented in the course of the year. A paper authored by IDEAS team member Antoinette Bhattacharya and published as part of a series on High Quality Health Systems in PLOS ONE aims to determine the quality of routine health facility-based data in DHIS2 for maternal and newborn health services in Gombe state, Nigeria. Antoinette Bhattacharya has also just wrapped up a series of four Data Quality Workshops in Gombe State working with local government area actors. In a final workshop report, she writes about how increased trust in the quality of data can lead to increased use of data for decision making. 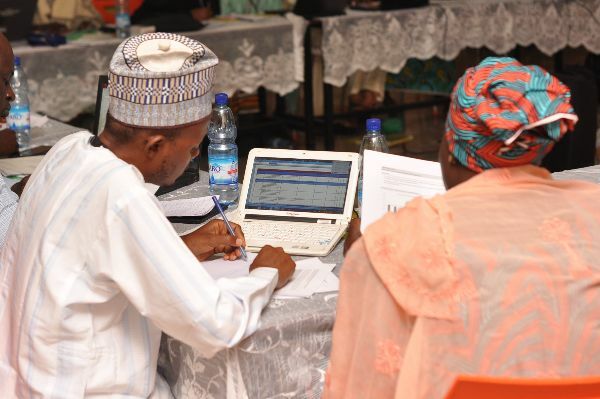 This is the first of two blogs reflecting on a collaboration between the Gombe State Primary Health Care Development Agency, four NGO implementation projects and IDEAS to enhance the use of data for decision-making in Gombe State, Nigeria. The work of the partnership can be conceptualised as a data-driven learning cycle, an approach to enhancing evidence-based programmatic and strategic decision-making. The second blog will focus on what has changed as a result of this three-year collaboration. In one of our latest blog posts Deepthi Wickremasinghe explains how community involvement is vital for making progress towards universal coverage of health services for mothers and newborns. The example from Nigeria shows that communities cannot work in a vacuum if universal coverage is to be achieved. The state government engagement is also important to ensure community health services are embedded in the health system and in the state’s health budget. This engagement creates an enabling environment for scale-up and sustainability. This entry was posted in General on March 7, 2019 by Celine Anozie. The humanitarian arm of Childcare and Wellness Clinics, NADI, had some outreach to communities in Borno, Abuja and Nasarrawa States. Part of the activities included training of internally displaced women on skills acquisition to support displaced families, sharing of relief materials and startup capital. NADI was also present at the YALI West African Regional Conference in Accra Ghana. This entry was posted in General on October 29, 2018 by Celine Anozie. Strengthening local leadership on population and reproductive health (2016-2017): CWC researchers gathered data and participated in producing a report of the retrospective evaluation of the MacArthur Foundation’s Fund for Leadership Development (FLD) in collaboration with the institute of international Education (IIE) and with researchers from India, Mexico and Brazil. The main aim of this evaluation was to provide a retrospective evaluation of the MacArthur fund for Leadership development (FLD), implemented from 1991 to 2013. 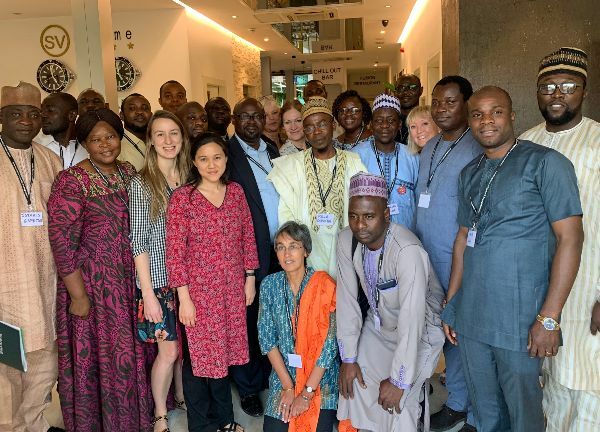 As part of the evaluation research team members traveled to all the geopolitical zones of the country to interview grantees, interact with their communities, organizations and also beneficiaries of their work. A report was submitted to the foundation to guide in their grant making and future investments. Family Included Global Alliance: staff of the public health division are part of the family included global alliance FIGA. 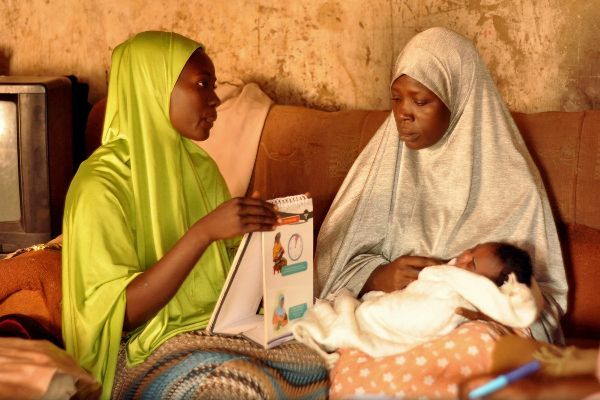 Childcare and Wellness Clinics is the principal partner of https://familyincluded.com/about/ in Nigeria.Family Included is a project which seeks to help actualize the WHO declaration on family inclusive maternal healthcare; it is carried out by Dad. Info which is a UK based information service for fathers that has worked closely with UK maternity and child services for many years, providing them with resources for their own users, both fathers and mother. NADI organized the distribution of warm clothing to internally displaced persons on the 9th of January 2015. These included 450 pairs of socks (mainly for very young children) and 50 head warmers. This entry was posted in NADI Activities on October 28, 2018 by ifedi. Following the mass influx of internally displaced persons from their displaced territories, as part of its social responsibilities, NADI in collaboration with Global Shapers (Kano hub) organized the Compilation and the distribution of some items of necessity to alleviate some of the few challenges being faced by the displaced persons. This was initially planned for distribution in the IDP camp for the displaced persons from Bama Local Government of Borno State located a few kilometers from the central capital. In the early hours of Sunday, 21st of June 2015, a car was loaded with the items and NADI staff proceeded to the IDP camp. However due to some security challenges and new regulations for distributions that were set up by the custodians of the camps, the distribution was not possible and the items were re-directed to the internally displaced persons living in the host communities in Mairi Ward and Gomari Costain respectively. The items for distribution included mainly clothing for men, women and young children inclusive of warm clothing such as socks and head warmers. Mosquito nets were also distributed to the affected persons living in the host communities of Mairi and Gomari Costain respectively. Saturday, 21st of November 2015, the Nur Alkali development initiative (NADI) as an intervention programme to assist internally displaced persons IDPs with essential items, organized for the distribution of blankets to the displaced persons in host communities of Mairi Kuwait and behind Giwa Barrack area. This was done in anticipation of the cold harmatan weather coming in. The distribution of the relief materials to their beneficiaries was carried out successfully without any security challenges or restrictions. The distribution in Mairi Ward began at 12:00pm and ended at 1:30pm while the distribution in Giwa barracks began at 2:00pm and ended at 2:49pm. The beneficiaries warmly welcomed us and expressed their happiness and appreciation to the gesture extended. A cloths drive- by was conducted by the Mandela Washington Fellows and items collected were sent from Kano and Lagos states to the affected areas of Borno state. On Friday, the 11th of December, 2015, Three (3) bags of clothing gathered from the cloths drive-by were received and a total of 74 blankets were bought at the market for distribution to IDPs. The clothes were sorted out on the eve of the distribution and volunteers from the Nur Alkali Development Initiative (NADI) were contacted to participate on the date of distribution. Prior to the visit, the IDPs in the informal settlement were informed of the intended visit through the Councilor of the ward, Mairi ward in the person of Umar Ibrahim. Ibrahim addressed the gathering in Hausa language. He introduced the team members and the fellows. He explained who the fellows were and what the Fellowship was about. He emphasized on the duty to assist them as young African leaders. He humbly explained the constraints posed by limited resources and pledged further help in the future according to our capabilities. Finally he requested the IDPS to explain what their needs were in the event that some help may come our way to assist them. After the initial interaction with the IDPs, The distribution of the items commenced. However due to the very large number of turnout, It was a cumbersome process but eventually all the clothing items brought were judiciously distributed to the people and the blankets were distributed room to room to elderly women, Elderly men, nursing mothers and children. The distribution process ended at about 2:15pm. On the 21st of February 2016, IDPS from hosts communities in wards located at the capital city of Maiduguri in Borno state namely Mairi Kuwait and Jiddari Bus Stop complained of shortage of food supplies. The women were Bawa doram Modu who had ten (10) children) , Ba Kawu Modu , Nine (9) Children, Ya Ganama Abatcha , Seven (7) children, Falmata Imam, Eight (8) children, Ya Ganama Mustapha, Two (Children) Hadiza Mustapha, Two (2) Children, Falmata Yahaya, Three(3) Children and Ya ganama Aja, Three (Children) respectively. On 25 of February, 2016, NADI staff responded to these complaints and organized the distribution of food items which included rice, flour, pepper, onion, turkey oil, kuka, and okro. A hired tricycle cart (KEKE NAPEP) was utilized to transfer the foodstuff to Jiddari bus stop to deliver these items to the women. Once again, Minor security challenges were faced during the distribution process when a restriction on security check points prevented the hired tricycle cart from passing with the food items contained. To curtail this challenge, the NADI staff alternatively decided to re-hire a taxi with additional expense and had the food items successfully distributed to the women. In the absence of some women, their husbands collected the food items on behalf of the families. A skill acquisition programme was organized by NADI. This was aimed at benefitting the internally displaced women in Borno state who needed a means of sustenance to curtail the hardships they were facing due to the persistent insurgency in the state in recent years. Prior to the skill acquisition, on the 21st of February 2016 a survey /research was conducted on IDP women who were living in the host community of Mairi Kuwait in Maiduguri, the central capital of Borno State. Application forms were provided for them to furnish NADI Database with their personal details such as name, contact address, phone number and guardians name and phone number. They were given the choice of choosing which skill(s) they would like to learn. The options of the skills were presented to them in the forms of the art of bead making, groundnut oil extraction, traditional cap crafting (sewing and embroidery), soap/air freshener/Toilet disinfectant (izal) making and mat weaving. The training session was schedule for the 12th of March 2016. The first phase of the training session began with soap/ Air freshener / toilet disinfectant (izal) making. The participants were conveyed from their common meeting point in Mairi Kuwait to the Training Centre at the NADI head office in Lagos Street in two batches. The participants were registered on arrival at the training centre by the NADI Staff at 8:30am which lasted for an hour exactly.